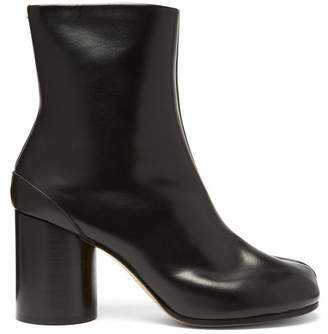 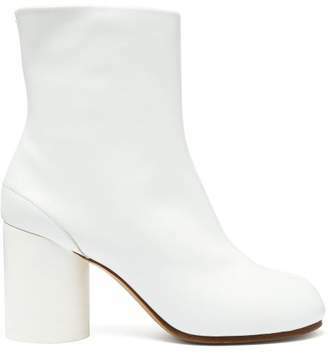 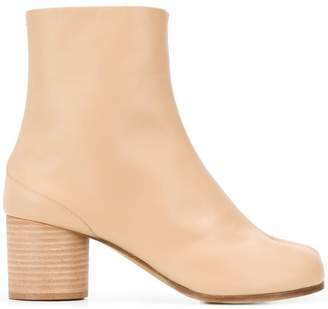 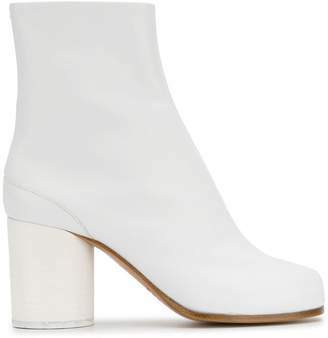 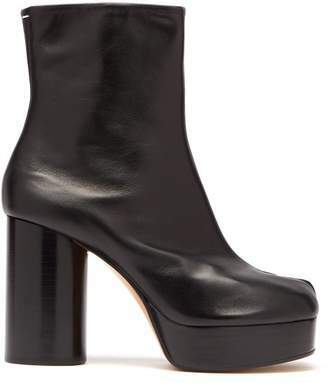 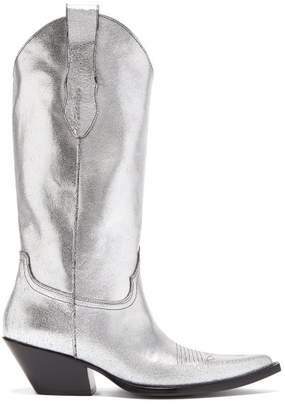 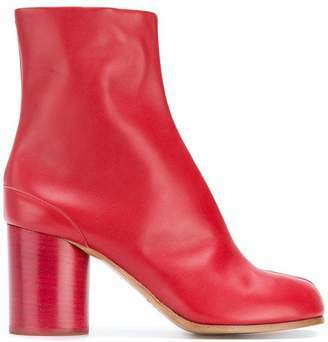 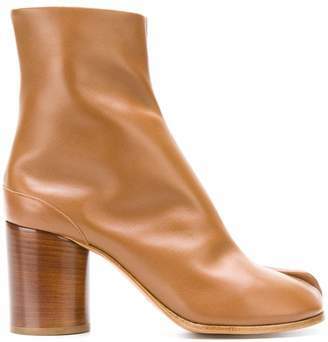 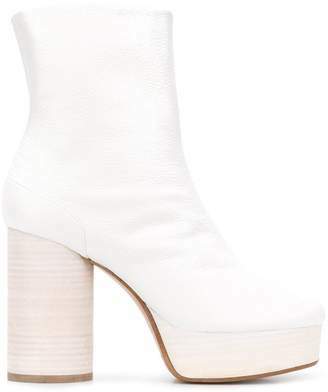 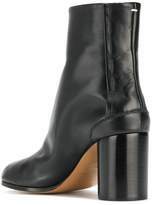 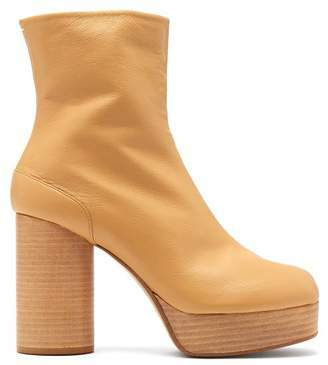 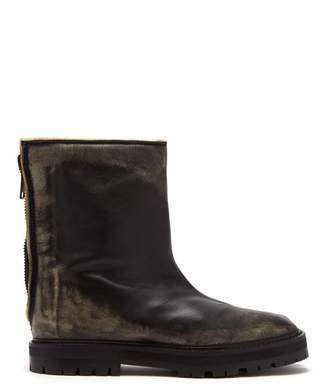 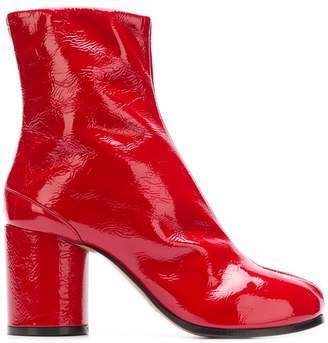 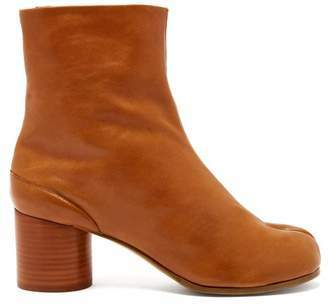 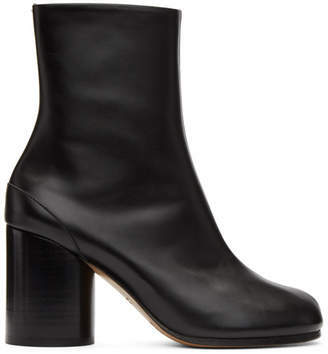 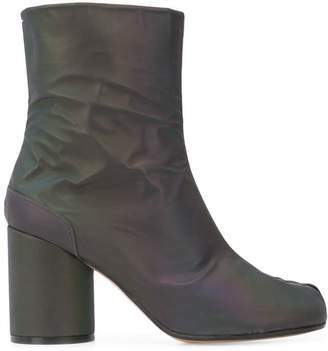 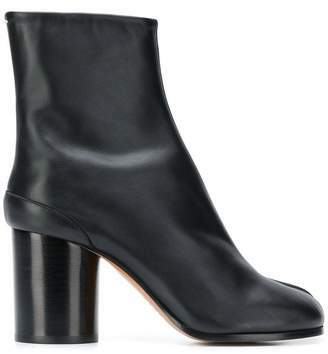 Maison Margiela’s iconic Tabi boots are inspired by the traditional Japanese socks of the same name that have been worn with thonged footwear since the 15th century. 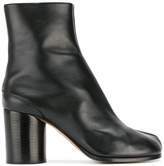 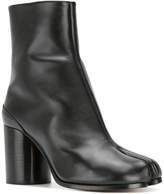 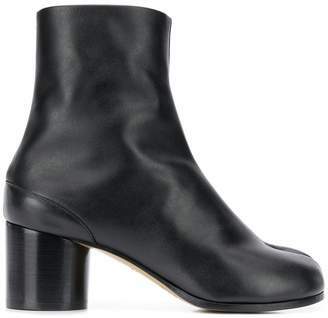 Constructed from smooth black leather, this classic pair features the signature cleft toe, a concealed side fastening, a branded leather insole and a cylindrical high block heel. 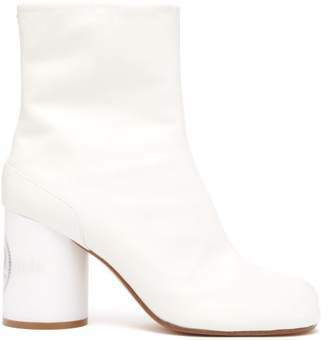 First witnessed during Margiela's debut catwalk show in 1989, they feature the Maison’s exposed white stitching at the back of the ankle.